TODAY, on this 9th day of this 9th moon, KIN 141 11Dragon, Day 233 of the 13-Moon year count (Fibonacci position 13), as we complete 1327 Years from the prophetic date 9.13.0.0.0 we are re-publishing Meditation 9 of the curriculum of the 28MEDITATIONS ON THE LAW OF TIME by VALUM VOTAN AND BOLON IK . We hope to have the video recordings of this memorable gathering also available soon on YouTube. Please stay tuned! As a preamble to this meditation, let’s briefly recap on the prophetic nature of this 9th moon of this 13-Moon Year encoded with KIN 22 highlights the relevance of KIN 169 13Moon as the Year-Bearer of the numbers of Prophecy: Seal 9 Tone 13 . >> 9+13 = 22 = 9Wind = Bolon Ik = the “Voice of Prophecy”. KIN 22 is also associated throughout Mesoamerica with “Quetzalcoatl” as 9Ehecatl (Wind). 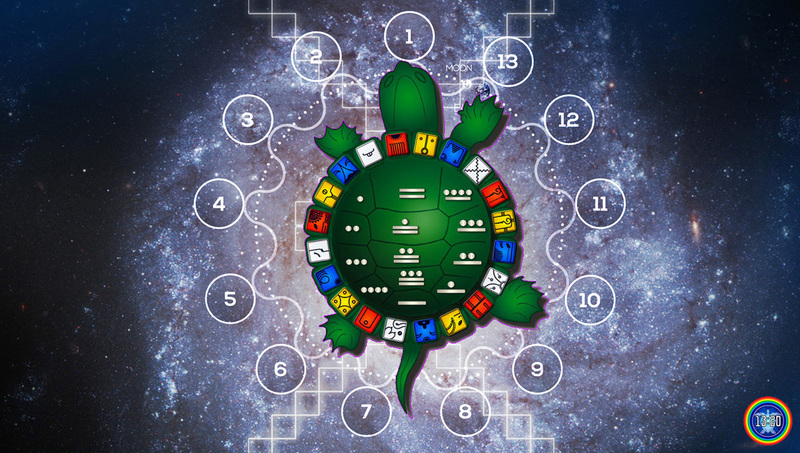 >> The numbers 9 and 13 represent the BolonTiku (9 Lords of Time/Underworld/Unconscious) and OxlahunTiku (13 Lords of Cosmic Time/Presence/Heaven/Conscious) presented as the protagonists of the myth of the “The Creation of the World” in the Book of Chilam Balam. 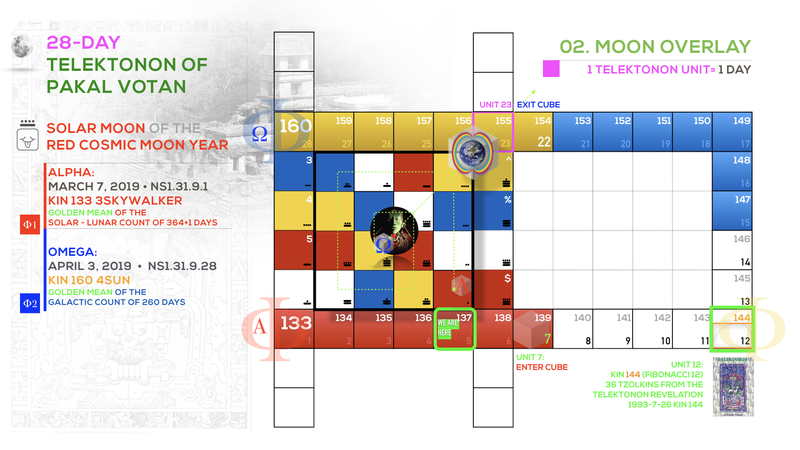 This means that as we publish this entry, we are completing 1327 years since the consecration of the main ceremonial center of the city of Palenque/Lakamha, and entering the SOLAR ORBIT number 1328 since the prophetic date 9.13.0.0.0. on the Long Count. 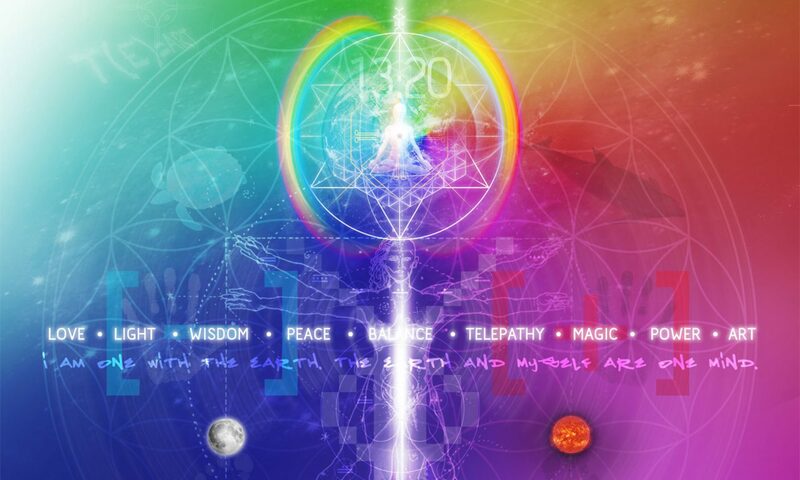 This is then a perfect opportunity to dive into ocean of TIME and travel back to the year 1999 to explore the many synchronic treasures contained within this transmission. In the way of the synchronic order today is Solar (Tone 9), and we also have the ninth teaching day, and we can even accept the Gregorian calendar: it’s the 9th day of that calendar. So we have many nine’s today. So today I feel a great sense of appreciation because we have completed the Warrior’s journey of the Self-Existing Moon. 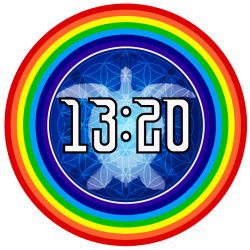 This is day 23 of the Self-Existing Moon, which is the Navigation Tower and the Lovers’ Reunion, when the two turtles of the Telektonon, Pacal Votan and Bolon Ik, are reunited in love in the Navigation Tower. This day is a reminder for us to remember that love is what binds us together. Further words of appreciation: that we could be at such a beautiful space at this time in order to give ourselves a free reign to open to the 13:20 time! We have this opportunity to synchronize our body and mind, to come fully into being here, to be able to leave behind the 12:60 world and to come to this moment when suddenly our ego has a profound open space to work in. So again, come back to your personal discipline, and remember that appreciation is a beautiful tool to remind you to be in the moment, in love. I wish to express my gratitude to the administration staff who has worked so hard to make our time here be as it is, because it’s not easy to navigate 145 Planetary Kin. As Planetary Kin, if we remember our personal responsibility, then nobody is really burdened, because we each have the space here to really begin to live in this 13:20 frequency. Now I will read the section, the opening verses of the Telektonon. The Telektonon of Pacal Votan, the Talking Stone of Prophecy which unites the People of the Dawn with the People of the Book. “Then if they reject thee, so were rejected apostles before thee who came with clear signs, books of dark prophecies, and the book of enlightenment. “The Buddha-nature exists in all beings. This quote is a way of seeing beyond language and to see beyond your rebellious thoughts, your intellect that has come out of living solely in the 12:60 world. We have the opportunity here to release the filters of the 12:60 world. These filters are produced by our mind. So when we take responsibility, it is up to us to remove these filters. Then we will make tremendous progress to demonstrate for all of the world how we can live fully in the natural 13:20 timing frequency. Each one of us, as we have said, holds equal place as a Planetary Kin. What this means is that we want to awaken to our innate being, who each one of us actually is as the Human Holon into which we were born. The issue of personal responsibility will be continuously coming up for each one of us. But I am very humble here today, because I can feel how much everyone is coming forth with such goodness. And I know, by how profoundly I slept last night, that we are really discovering the peace of being here in this beautiful place. Bolon Ik read a statement from the Telektonon Instruction Manual which referred to the date Yellow Magnetic Seed, Kin 144, July 26, 1993. That was the first day of the first year of prophecy. I woke up very early this morning, I went outside, looked at the stars. The stars were, of course, brilliant and stunning, and I felt for a moment that I was back on the Hawaiian islands, where the stars are so brilliant and clearly seen at night. It took me back to that moment that was described in the reading that Bolon Ik just gave us. It is very hard to completely explain or describe everything that has happened to me to be able to be here, with you, at this moment. A kin from Venezuela gave me this crystal, and yesterday afternoon I was in the Zuvuya: during that time I had a very strong experience that I was just like this crystal, and when you look inside this crystal you see a phantom pyramid inside of it. In the experience I had yesterday afternoon, the crystal form was me, then other beings came and put the phantom pyramid inside of me. That’s a very simple way of describing my experience. This is an experience that has taken some 60 years, and I would like to share with you today some aspects and qualities of that experience. To be a messenger is something that you cannot really anticipate. You don’t sign up to take courses in messengership in school. In fact the idea of being a messenger never occurred to me until sometime after the Kin 144, Yellow Magnetic Seed. I would like to repeat again that prophecy does not contradict science. Prophecy is natural law and when we are studying the Law of Time we are studying comprehensive science. Comprehensive science unifies what we usually think of as science. We must remember, science actually is an endeavor to discover the truth. Genetically modified food is a deviation from true science and has something to do with the need for prophecy. We say that prophecy is natural law, and that prophecy has to do with correcting the genetic order in time. Usually when we think of prophecy, we think that someone is giving some vision to occur in the future. Therefore prophecy has to have something to do with a knowledge of time, with what we call prevision or foresight. But it seems to be somewhat more profound than just prevision or foresight. If we say prophecy has to do with correcting the genetic order, therefore there must be something wrong with the genetic order. 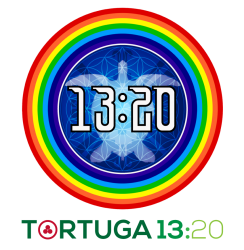 As you may recall, in the last meditation on time last week, we spoke about the genetic deformation of the 12:60 timing frequency. If there were not a genetic deformation, we would not need prophecy. It is because we have entered into this world of Velatropa 24.3, in which we have all of the exaggerated errors of the universe incarnate here now, that we begin to pay attention to prophecy. Prophecy confirms the existence of natural time. If we examine the different prophecies, they all seem to have similar themes. There is an original time, there is a time of corruption, there is a time of prophecy to end the corruption, then there is a return to the original time, or to natural time, or to the Golden Age. We see that very often there is a theme of Four Ages, and the final moment is the entry into a Fifth Age. This is the general theme of prophecy. The general theme of prophecy also confirms that there must be some genetic error. So we see that in all the great prophetic traditions there is also obviously a moral quality – because the genetic failure produces increasing levels of moral failure. These increases in moral failure create a situation that usually is referred to as Judgement Day. This Judgement Day is the time when we are to wake up and to remember. All the true teachers talk about remembering. What we re-member is the original time and the return of the original time. She gave me that book on the Day-Out-of-Time, which was the day Blue Cosmic Night, the end of the Time Shift year. I looked at this little book and I said, “Well, I’ll open this on New Year’s Morning.” I noticed when I opened it, that it was published in Havana, Cuba, in the year 1978. All of that in itself spoke to me. In my mind immediately, Cuba was ‘Kuba’wíl’ – I remembered a Mayan word which also said, CUBE. Then I started to read this book which appeared to be a form of science fiction, or imaginative fiction of some kind. It also said that it was a “translation” of a Mayan codex. As I began to read this text, I began to have very powerful experiences. The text described a number of travelers who were traveling, not in a spaceship, but a Timeship, certainly coming from another dimension. This particular Timeship, in coming through the dimensions to the third dimension, experienced difficulties and it crashed, or dissolved, or finally came to rest. It spoke of various messengers on this ship including Quetzalcoatl, but also Christ, Muhammad, and Buddha. When I had read about this far, my experience of what we call “time and space displacement” got to be rather intense, and as I read further it was like I already knew what it was saying or writing. So it didn’t matter to me whether it was fiction or not fiction, because I already knew in my mind what it was going to say and what it was saying to me. Immediately, after reading this little text, I went to the Books of the Chilam Balam, and I knew exactly where to go in these texts. I started to write many things. It seemed like everything that I picked up talked to me. I picked something up and it said, “Book of Revelations. Chapter 7: Verse 4.” It was the day Kin 144, and that chapter and verse speaks of the 144,000. I knew, as I indicated earlier, that 144 in the Mayan notation is written 7.4 – the same as the Chapter and the verse of Revelations. Many things started to come to me in my memory and mind. The best way I can describe those experiences was that I entered into the core of the radial tunnels. It was like my physical body was at the center point like this crystal, and that at any moment from my mind any number of tunnels radiated out, so that I was experiencing many different things simultaneously: memories, types of visions, dreams. I began to realize that I was in a very, very altered state of consciousness. Before too long I had written down the words Tel-ek-ton-on. I don’t remember precisely how that came, but I knew that the Telektonon was the Earth Spirit Speaking Tube. I knew that some of the radial tunnels took me to the core of the Earth. It seemed that many different teachings were coming to me. I also knew that the tomb of Pacal Votan was the very key to the Earth Spirit Speaking Tube. I also began to realize that I had been in the state of receiving a prophecy, and that this prophecy was the prophecy of Pacal Votan. This was an interesting statement that I described in this notebook which I titled the “Auto-commentary of the Finder Spectral Monkey of the Telektonon of Pacal Votan, the Book of the Seven Generations.” I would like to talk a little bit more about that, so we can understand how such things as the Telektonon actually come into existence. In the Tibetan tradition Terma refers to a Dharma treasure or hidden treasure. Dharma is the teaching of the Buddha. It also means universal law or truth. So the Terton is a hidden treasure finder. Now I knew some of this information from my studies and practices for many years as a Tibetan Buddhist myself. I knew instinctively that the tomb of Pacal Votan itself was a form of Terma. When we talk about one intelligence leaving the information for another intelligence, Pacal Votan had left that information specifically for me to find. What we are talking about is a kind of finders and seekers or a form of hide-and-seek – like the childhood game – but the person that hides the teachings always knows exactly who is going to find them, and this is the interesting point. I also knew that although the terms Terma and Terton refer to Tibetan teachings, it is actually a universal principle – a principle that depends upon a very high level of enlightened consciousness. It has to be of such a high level that it will know exactly hundreds, or even thousands of years later, when and who will find it. Now in the Tibetan tradition there is basically only one or two people who hide the Terma and that is Guru Rinpoche or Padmasambhava and his chief consort, or wife, Yeshe Tsogyal. It’s also interesting that in the Tibetan tradition that a Terton, the one who finds the text, always needs to have a female companion or in some rare cases where it is a female finder, a male companion. The reason for this is that it is very often a woman or a female who will trigger the discovery of the Terma. In the case of the Telektonon we had two instances of female. It was specifically Tynetta Muhammad who came to me with the text; and I had with me my constant companion, Bolon Ik. It was largely through Bolon Ik’s inspiration that the different levels of teaching were to be discovered by me. In terms of the Terma, there are different kinds. There are what are called the Earth Terma. The Earth Terma are described as the discovery of symbolic script or texts which also can sometimes be found in caskets, in tombs, or in large boxes. This tomb, the tomb lid of Pacal Votan, is actually a form of Terma with symbolic script. Everything about this tomb lid is actually a symbolic script. This type of Terma is the most common class in Tibet. The knowledge isn’t really in the tomb, or the symbolic script – it’s just that the symbolic script acts as a trigger in the mind of the Terton. In this way the information is already coded in the mind of the Terton, and always waits for precisely the exact moment for it to be released. So you can see that this moment of the morning of Kin 144 was the very precise moment for this information to be released. There are other forms of Terma that are called Esoteric or Mind Terma, that may not depend on any kind of external form, which come from different mind streams to which the mind of the Terton is attuned. Through being attuned to these streams, again at specific moments, the information then will be unlocked in the mind of the Terton. Everything depends on the precise moment. Where is the prophecy hidden? The prophecy is hidden in the mind space. 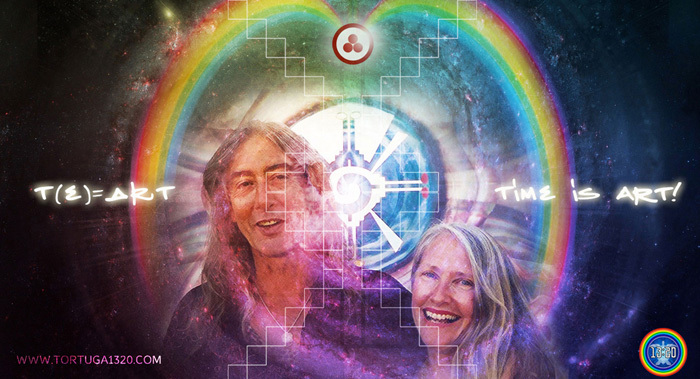 In the mind space there are different configurations of time, and then when the correct moment and the correct person connect with those moments in time, then the information or the Revelation will be released. I would like to say one thing here, a quote from a famous Buddhist philosopher who said: “If I have presented any theory, then I am at fault.” This is a way of saying, this is not a theory. The reason why these teachings are left is because all of the teachings have failed. The only reason that these types of what we call very, very large prophecies exist is because of the failure of all the different spiritual teachings to reach their goal. So these teachings have to be left. It’s for the sake of spiritual regeneration that these teachings are left. I woke up immediately after this dream and I thought about it briefly. I had studied enough Buddhism to know that Buddhism was also called “the middle way”: that was the sufficient evolution – not too much and not too little. I also knew that the Buddhists developed the ideal of the Bodhisattva, which corresponded to the ‘World Union of the Guardians of Sufficient Evolution.” And I said to myself, “This is going to be my teacher” – and this was true. I was very fortunate to be very close to this teacher. Later on I was able to realize how necessary it was for me to come in contact with this teacher, because through him I was able to receive what are called the “Mind Teachings of Padmasambhava.” If I had not received the Mind Teachings of Padmasambhava I would not have known how to decode the teachings that were hidden by Pacal Votan. I would like to describe something further about what is called the accomplished Terton. Especially after the sixth year of prophecy, I came to fully accept my role as a Terton. I found that the accomplished Terton combines within himself seven – of course! – streams. I saw that through my experience all these streams were satisfied in me. The first stream is that the Terton receives the old and the new tantras from teachers and from deities, in person and in visions. Of course I had received these teachings from Trungpa Rinpoche. In a meditation retreat in 1986, what is called the deity Chakrasamvara revealed to me some very interesting things that had to do with the 13,000 year cycle at the end of the Dragon Genesis. The sixth stream is that the Terton discovers many pure vision teachings. I would describe these as many of them put together, as the Arcturus Vision, as well as, for instance, the Rainbow Bridge. Finally, the Terton receives oral transmissions in pure vision and then discovers them (the Terma). I would refer to a number of dreams that I had with my teacher, Trungpa. One, for instance, in 1985, in which I encountered him in a tunnel in the middle of the Earth, and he told me at that moment that I would have to do something that would make many of the Buddhists stop thinking that I was a Buddhist. He said that it would be my responsibility to bring the Religion of the Earth back to the people. Also, various visions concerning the deceased visionary Aldous Huxley, who is alive and well in Uranus … Today, however, you wouldn’t recognize him. 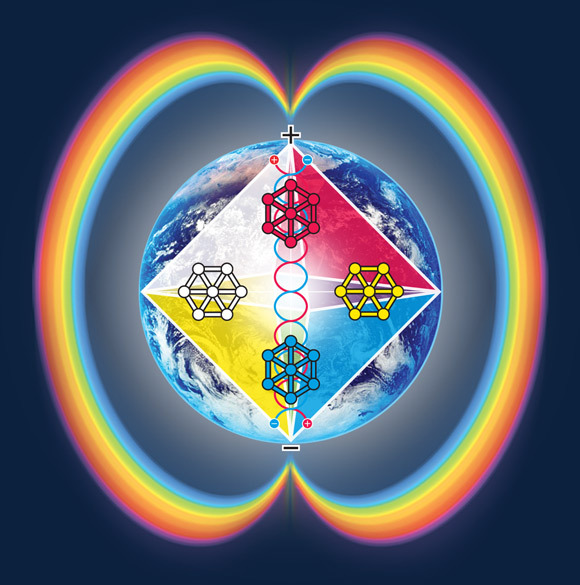 The vision of the Whole Earth Festival was also such a vision, as was the vision of the Harmonic Convergence. As I said, these are the seven streams that describe the fully accomplished Terton. No one could really bring the whole totality of the Law of Time if they were not such a type of person. We are dealing with levels of Revelation. We are also saying that humanity only advances through Revelation. Revelation can only be of the truth. We think that Revelation contradicts the truth or that it contradicts reason or the logical mind, and it does contradict reason and the logical mind. Precisely for that reason, it is able to bring truth, like fresh baked bread from the bakery of Heaven. We need this fresh baked bread every so often, because the other visions we find aren’t very nutritious any more. So we need these new fresh visions and revelations so that, once again, we can be fortified spiritually. I would also like to say, in speaking of the fact that I could not have been just a Mayan or could not have been just a Tibetan, that I had to combine these traditions as well as many other traditions. I have received mind teachings from other people including Sun Bear as well as the astrologer Dane Rudhyar, who was actually a profound esoteric initiate, and who confirmed for me what are called initiations of the “Seventh Ray” or ceremonial magic. But most specifically, for the elevation of the world soul and for the awakening of the world mind, I have had very specific spiritual guardians. These spiritual guardians are Pacal Votan, a very mysterious person named Master Fard Muhammad, as well as different Tibetan masters. These particular spirit guardians form three different traditions or streams of planetary thought. Through my teaching of Art History – which you also can see in the book Earth Ascending – I had identified three messengers of the awakening: Buddha, Christ, and Muhammad. But the most important of the three were the first and the last, Buddha and Muhammad. I was brought up as a Christian, and I’ll never forget the day my mother took me to a Christian church the first time. I was about six years old and she said to me,”Today we are going to go to church – Sunday School.” I didn’t have too much of an idea of what that might be. I remember when we drove up and stopped at the church, I got out of the car with my mother and I looked and saw the church. I remember I had a very powerful experience and I said, “Oh no! Not this!” But I looked at my mother and I saw how she was a very, very simple, strong and sincere person. I knew in a moment that I couldn’t let her down. I saw in a big flash everything that I would have to undergo to become a Christian. When I went to college at the university for my first year, I had a very good theology teacher, his interest was existential theology. That was very good, because he showed me the door out. Then I was able to go and find the other teachings. So the main streams that have guided me are the streams of the Buddha, of Muhammad, and of Pacal Votan. When we talk about these we are talking about living traditions and also what are called mind transmissions. So the living tradition of the Buddha comes from the Buddha to Padmasambhava, and there are other traditions along with Padmasambhava in Tibet. 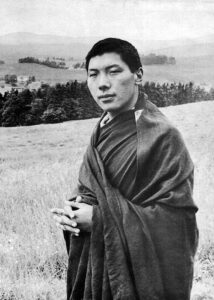 Among these is the Karma Kagyu tradition including the lineage of the Karmapas, and from this lineage was my teacher, Chogyam Trungpa the 11th, who combined both the traditions of Padmasambhava and Karma Kagyu. He transmitted to me directly many teachings, mind teachings as well as all the Tantra teachings. For three and-a-half years Fard Muhammad taught Elijah Muhammad everything he knew. Early in 1934 Fard Muhammad said: “My mission is complete”. Where did he go? He went to Mexico and the last that Elijah Muhammad heard of Fard Muhammad was a letter he received from Mexico in the middle of 1934. Elijah Muhammad went on to create what is called the Nation of Islam. 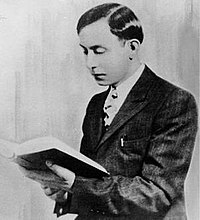 As I was a student in the 1950’s in Chicago, I first came across the teachings of Elijah Muhammad and remembered them very well. Exactly 40 years after Fard Muhammad went to Mexico, Elijah Muhammad went to Mexico and he found a house for his wife, Tynetta Muhammad. Before he left his body he told his wife, Tynetta Muhammad, that she should study the world’s calendars, and especially the prophecies of Mexico. He said that within 20 years there would be the time for a new teaching and that she should look out for these signs. In 1988 Tynetta Muhammad found Bolon Ik and myself. She had been in Egypt on August 16, 1987. Someone gave her a leaflet that said to go to the Great Pyramid and meditate for the Harmonic Convergence. When she did that, she heard about Argüelles and The Mayan Factor. She was also supposed to be looking for people who understood the “19 Code.” She saw in The Mayan Factor that the Maya had the 0-19 Code. All of these transmissions then come from Tynetta, but also especially through the guardianship, as I have become more aware, of Master Fard Muhammad. Then finally, of course, there is Pacal Votan. 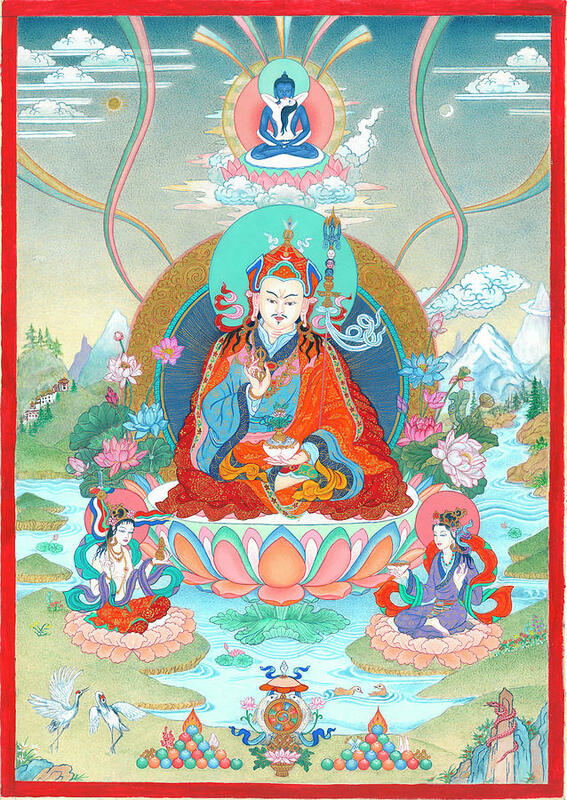 Pacal Votan was a contemporary of Padmasambhava. Through the synchronic order and through the advanced intelligence of both the minds of Pacal Votan and Padmasambhava, the Mind Teachings and the prophetic teachings were prepared. Following Padmasambhava came the teachings of what is called the Kalachakra, the Wheel of Time. 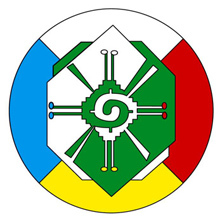 The Kalachakra teachings describe a series of 16 cycles, each one of 60 years. The first of these cycles began in the year 1027, exactly 28 years after the departure of Quetzalcoatl, and the 16th of these cycles came to a conclusion at the February New Moon of 1987. The conclusion of the 16th cycle of the Kalachakra also included the 16th Karmapa’s leaving his body (in 1981). So 1987 was the conjunction of the end of the Kalachakra prophecy cycle that had been prepared for by Padmasambhava; and, of course, the completion of the prophecy cycle of Quetzalcoatl – the 13 Heavens and 9 Hells. At this moment, there was only one person to put all these different streams together. Or I should say, only one person who could embody the different emanations of these streams, and that’s the one who is talking to you. We would like to continue with the second part of “Meditation Number 9 on the Law of Time.” I have found it necessary to share with you what I had to share so far, because it is important both for myself as for all of you to understand exactly what is involved in the kind of mission that I have. I know at one level that my only responsibility is to communicate as clearly and as truthfully as possible what has been revealed to me. It is not my responsibility at all, what you do with what you hear. That is your responsibility. But in sharing with you these various details of my own life as well as certain processes that are involved in the structure of prophecy, it has been necessary to communicate this as well. If you and I are going to go into the cemetery of the 12:60 world, to try to raise some of the dead, it is very well that we have a very profound appreciation of what is involved to bring forth the teachings of the Law of Time. As you see these are not casual pastimes. Everything that I communicate has come from my own flesh, blood and nervous system without any other filters around it. In many ways, in sharing this, I am saying that I am a naked man. What you see is what you get. There isn’t anything else to me that you will find. All of that has already gone up in smoke. I’m not very good at small talk – but I love to joke around. So I would like to continue with the discussion of the prophetic lineages and cycles and I would like to describe and define again the samadhi. The samadhi is a super-normal meditation which functions simultaneous with the waking and sleeping conscious. In this little crystal, whether I hold it up to the light, or I put it in my hand, the phantom pyramid is still inside of it, communicating and radiating information. The samadhi that produces the knowledge that has been brought through me is like the phantom pyramid, or I should say that the samadhi that produces the knowledge is like the phantom pyramid. So whether I am awake or asleep, the samadhi that I have received from different teachers and especially from Pacal Votan is continuously activating. That’s why sometimes I turn into a “galactic fax machine.” That’s why, at times, I just need to be very quiet and away from everything. At those times I know I can feel things in my solar plexus, or sometimes I have very strong experiences of optical visions. Then I know the best thing to do is to lie down for a very long time, until the phantom crystal samadhi in me becomes clear and gives me new information. This usually means a lot of trouble for all the translators. I mentioned the Kalachakra and the 13 Heavens and the 9 Hells – that was one of the prophecies of Quetzalcoatl. 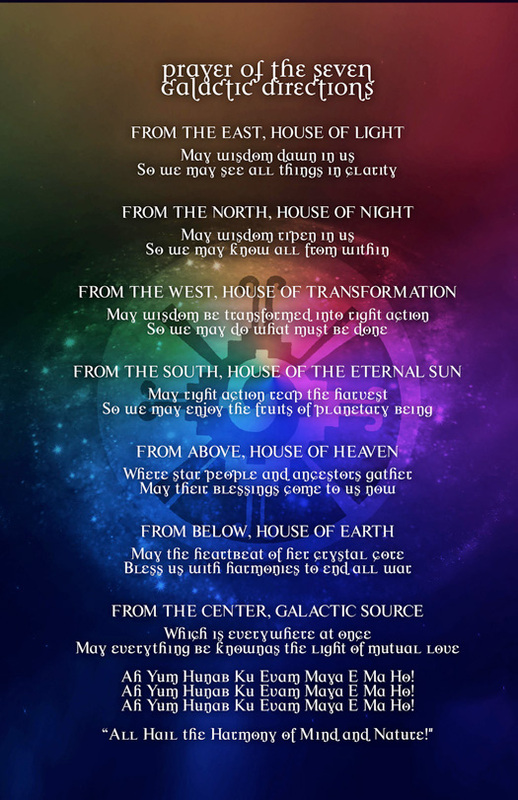 This prophecy had been first communicated to me through Tony Shearer, and it had been conserved by traditions of shamans in the present-day state of Oaxaca in Mexico. The prophecies of Quetzalcoatl form one of the categories of the tradition of what is called the Chilam Balam. When we talk about the prophetic stream of Pacal Votan we are actually talking about the prophetic lineages of Chilam Balam. Chilam Balam means the Jaguar Priest. It also refers to the hidden or occult teachings. These hidden or occult teachings were intentionally obscure, so that Spanish priests would not be able to understand them. When we talk about the tradition of the Chilam Balam, we found that there are different categories of prophecy. The first category is the prophecies of the Day-keepers. The Day-keepers we know are still very active, especially among the Quiche Maya. They work solely with the Tzolkin. The next category is called the category of the Year Diviners. These are described in the Chilam Balam. They can know the count of the years actually which synchronize the solar calendar, the Haab, with the Tzolkin. It’s very interesting to understand that the Quiche Maya know very little about the Haab, and next to nothing about the Chilam Balam traditions. The Chilam Balam traditions were developed in the Yucatan and Chiapas, and over the centuries the Quiche Maya became separated from those traditions. Some Quiche Maya don’t understand this point. Fortunately others do. The Year Diviners have to do with the keeping of the dates that have to do with what we now call the July 26th synchronization date. The traditions of the Chilam Balam include very many different texts and traditions. The most famous and the most extensive of these traditions is called the tradition of Chumayel. There are others like the tradition of the Books of Mani – these traditions go down into the middle of the 19th century. All of these have one thing in common, the synchronization date of July 26, which is synchronized by what we call the Gateway Earth Family. Before the Gregorian Calendar, this date in the Julian Calendar was July 16th. As the synchronization of the Tzolkin and the solar calendars, this date of July 16th goes back to the Christian year 692, which in the Baktun Long Count was 9.13.0.0.0. This, of course, is the date of the dedication of the tomb of Pacal Votan. This synchronization date was commemorated in the site called Edzna, which is at 19.5 degrees north, and has to do with the rising of Sirius. This also was the beginning date of the Calendar of Thoth in Egypt. Also, 70 years before the dedication of the tomb of Pacal Votan, this very same date on the Christian calendar, July 16th, was the date of the Hegira of Muhammad, and marks the beginning of the Islamic Lunar Calendar. So we have very interesting conjunctions and correspondences: it is the function of the Year Diviners to point this out. So when I began keeping the calendar in 1974, I also began to follow the tradition of the Chilam Balam. From that point I followed the Gateway Family dates and July 26th: this is the basis of the New Dispensation of Time, which comes from this tradition of the Chilam Balam. The third category of prophecy in the Chilam Balam are the prophecies of the Katuns, or the Ahau Katuns. Much of the Chilam Balam of Chumayel has many of these prophecies. The Ahau Katun cycles describe 13 Katun cycles of 256 years, because they are counting the 360-day Tun, not the actual year. These Ahau Katun prophecies have no specific dates to them, so they are very interesting to try to decipher. They always start with an 11 Ahau Katun, then a 9, then a 7, then 5, then 3, then 1. Then going back to 2, 4, 6, 8, 10, 12 and then the 13. In these Ahau Katun cycles you will find the prophecies of the coming of the Spaniards, which were very, very precise. The fourth category of the Chilam Balam prophecies has to do with the prophecies of Quetzalcoatl. This would include the prophecy of the 13 Heavens and the 9 Hells. It’s important to note the date of dedication of the tomb, which is Baktun count 9, Katun 13 of that cycle. 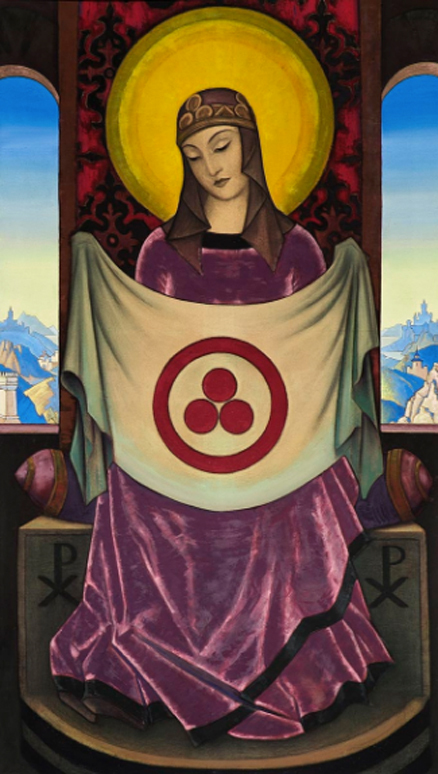 The numbers 13 and 9 equal 22, which is the number of the kin of Bolon Ik, and also the number of chapters in the Book of Revelations. 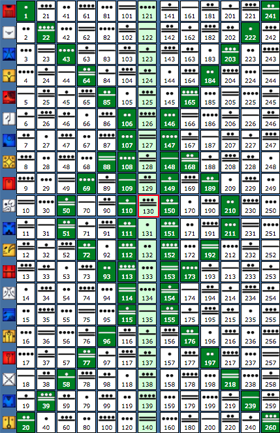 These are all coded numbers. The fifth category of the Prophecies of the Chilam Balam are referred to as the special prophecies of Antonio Martinez. Antonio Martinez is described as being a totally unknown character, and no one knows who he was, or where he came from, or how he got to be in the Chilam Balam prophecies. From the time I started studying the Chilam Balam I had been immediately attracted to the prophecies of Antonio Martinez. I read the prophecy of Antonio Martinez many times, and I believe the prophecy of Antonio Martinez is one of the two places that contains a reference to the Book of the Seven Generations. This Book of the Seven Generations, I knew, was the key to the prophecies of Pacal Votan. I understood that the seven generations referred to the seven Katun cycles between 9.13.0.0.0 and the beginning of the next Baktun cycle, 10.0.0.0.0. I knew because of that, it was intimately connected with the tomb of Pacal Votan and also with the synchronization date of Julian calendar July 16th – Gregorian July 26th. One other interesting point concerns the city of Chichen Itza: what is called Old Chichen Itza was founded in the very beginning of the Baktun cycle 9.0.0.0.0 and Old Chichen Itza was abandoned precisely at 9.13.0.0.0. What we call the New Chichen Itza began in the year 987. The new Chichen Itza was begun in 987 by Quetzalcoatl. This was the millennium of Quetzalcoatl, that went from the founding of new Chichen Itza (987) to Harmonic Convergence (1987). The cycle of the 13 Heavens and the 9 Hells began in the year 843, and the 13 Heavens came to a conclusion 576 years later, in 1519, when Cortès landed in Mexico. Of course it was on Good Friday that Cortes landed in Mexico, which happened to be the day One Reed, which is the same as Magnetic Skywalker, the Galactic Signature of Quetzalcoatl. Just a footnote to that: when The Mayan Factor was published it arrived at our house on Good Friday of 1987 – so we began to turn the karma. The Antonio Martinez prophecies also have a very interesting date. The Antonio Martinez prophecy is for the Katun cycle that begins in the year 1692. In other words, exactly one millennium after the dedication of the Tomb. So I knew that Antonio Martinez was part of the prophecy of Pacal Votan, especially because of the mysterious reference to the Book the Seven Generations, which are the seven Katuns beginning in 692. This reference to the Book of Seven Generations occurs exactly 1,000 years after the dedication of the Tomb. Now I mentioned at the beginning of this meditation this little book that Tynetta Muhammad gave me, De Tulan el Lejano. I was very much immediately struck by the fact that it was published in Havana, Cuba, because I immediately went from that to the prophecy of Antonio Martinez. Why? Because Antonio Martinez set sail from Havana, Cuba. So I knew that between the book, De Tulan el Lejano, and the prophecy of Antonio Martinez there was a connection. In the prophecy associated with Antonio Martinez, he sets sail from Havana; he comes to a strange land and he goes into a mandala type of palace, made out of gold, with four gates going to the four directions. He meets a lady there, and later on he has to set sail again and he gets shipwrecked. 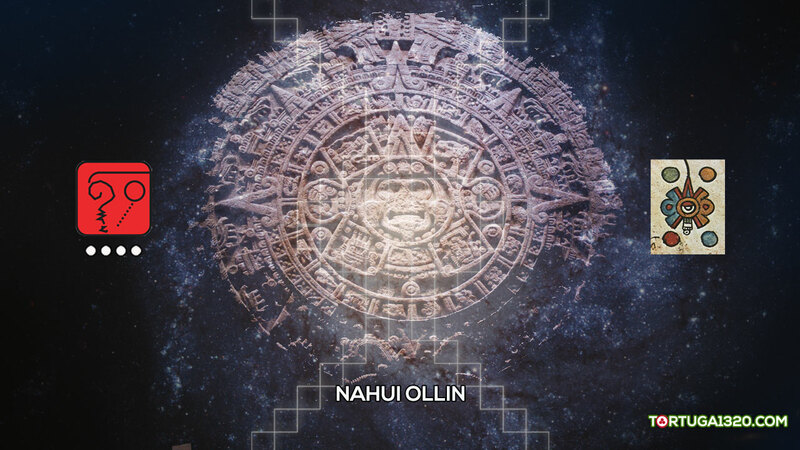 In the book De Tulan El Lejano, it describes the spaceship or Timeship having a wreck. I saw that there was a connection between those two shipwrecks. After he pulls himself together, Antonio Martinez meets some Mayan priests and they say to Antonio Martinez, “What is your name?” And Antonio Martinez says, “My name is God the Father, God the Son and God the Holy Ghost.” Then it says that the Mayan priests say, “Very good. We will now take you with us.” They then recited to Antonio Martinez the Book of the Seven Generations, and it took three months. Now, when I was describing the experience I had begun on Kin 144, for four weeks I knew I was Antonio Martinez. I had gone to another dimension and I could understand then what was being written about and spoken of in this prophecy – and many other prophecies. It’s very cryptic when Antonio Martinez answers that he is “God the Father, God the Son, and God the Holy Ghost,” but it was to satisfy the Christians that would be reading this text. “Who will be the prophet, the Ah Bobat? I read this many times and I realized that I was to be the Ah Bobat and I was to be the Ah Kin who would rightly explain the words of these hieroglyphic signs. This I knew within the four weeks following the beginning Revelation of Kin 144. It took me back into even deeper communication with Pacal Votan. I should also say that when I have a very intense experience as the first Revelations of the Telektonon, when the big wave has passed, I refer to that as the shipwreck experience – because it’s very much like being shipwrecked when you come out of these experiences. And it is very helpful at that point to have someone like Bolon Ik. I also knew from other researches that five years after the prophecy of Antonio Martinez, in the year 1697 – this was the year, incidentally, when the final conquest of the Maya as a nation or a political sovereign people occurred – at this time, in the city of San Cristobal de las Casas in Chiapas, there had been a correspondence between two Christian monks. In this correspondence they referred to a certain text that they had heard of. This text is called “La Probanza de Votan,” or the “Trials or the Testing of Votan.” They speak about some mythic type of person called Votan, who had been a king or a ruler or a wise man who lived in a very special city in the jungles. This Votan had been a supernormal type of person. He seemed to be descended from Noah; he witnessed the building of the Tower of Babel; and he finally made his way to the New World, where he founded his city which was known as Nah Chan, the House of the Serpent – which we know today as Palenque. Before he came to Nah Chan he incarnated, or emanated, or came out of the Earth. He came out of the Earth at a place near Nah Chan called Valum Votan. Valum Votan was the place of the entry and the exit of Pacal Votan. This Pacal Votan, or the great Votan, as he was known, built a tower, which we know is the Tower of Bolon Ik, or the Tower of the Winds. Beneath this tower there was a rock and four times did the great Votan go, by means of this rock, on a ladder made out of 13 serpents. He went and visited the interior of the Earth, and then went to Heaven. These were some of the things that were noted by these Christian monks, supposedly written in the text called La Probanza de Votan. As I said, this was in 1697. Also we will note that in 1692 it was 300 years prior to the year 1992-93. The year 1992, which I called the beginning of the Time Shift, was exactly 1,300 years after the dedication of the tomb. 1697: 300 years later was 1997 – it was at this time that what I call the perfume of Valum Votan filled my being. So the mystery goes back to the great Pacal, and to who he was. There is some controversy about how old he was or how long he lived. The archaeologist, Alberto Ruz was certain that Pacal Votan was someone who probably died in his early 50’s. It seems also that that was very controversial. Other people said, ‘”No, this was a much older person.” Now, it also seems that from a further decoding of the hieroglyphs, that Pacal Votan was born in the year 603, and that he died 80 years later in 683. It is very interesting that his life divides into two cycles. The first cycle is a cycle of 28 years, and the second cycle is a cycle of 52 years. Most of the traditions of the Buddha say that the Buddha lived 80 years, and when he was 28 years old he left his life in the Palace, so that leaves 52 years – just like Pacal Votan. With the Buddha there were seven years to attain full enlightenment, and then 45 years in some traditions, and 49 in others, to communicate his teachings. The cycle of 52 years of Pacal Votan is described very well in Chapter 3, and also in Appendix D of The Mayan Factor. As I pointed out, especially in the Appendix D on Harmonic Numbers, the cycle between 631 and 683, that 52-year cycle was the 52-year cycle of Pacal Votan’s power. From the beginning of the Long Count, this cycle that began in 631 was the number 13 66 560 (kin elapsed since BC 3113), or (code number) 13 66 56. This is the most harmonic number and it synchronizes all the cycles, the Venus cycles, the Martian cycles, as well, of course, the Haab cycle; the larger cycles that correspond to the 52- year cycles and more. This cycle between 631 and 683 is a number we are already familiar with: it’s the 73rd 52-year cycle since the Long Count began. The 73: of course, we know there are 73 chromatics every year, and that the 73rd Overtone chromatic is the Uayeb; and there are exactly 73 Galactic Spins to a 52-year cycle. It was because of this very, very powerful harmonic number (13 66 560), that corresponds with the beginning of Pacal Votan’s cycle of power, that I knew that Pacal Votan had a very highly evolved consciousness to have come to that point of power at precisely that moment. Those harmonic numbers correspond and last through that whole 52 years, until 683, when he dis-incarnated. Now in The Mayan Factor I referred to Pacal Votan as Galactic Agent 13 66 56. I knew when I was decoding the very first stages of the Telektonon prophecy, that I was in my 13 Dragon year; that on my next birthday I would be Kin 66; and the year after that I would be 56 years old. So I saw that I was also Galactic Agent 13 66 56. I knew that the first three years were to be the Magnetic Seed, Lunar Moon, and Electric Wizard: for these three years we would have to leave the Hawaiian islands, just like Antonio Martinez left Havana, Cuba, and we would have a minimum of three years to begin to communicate this prophecy. 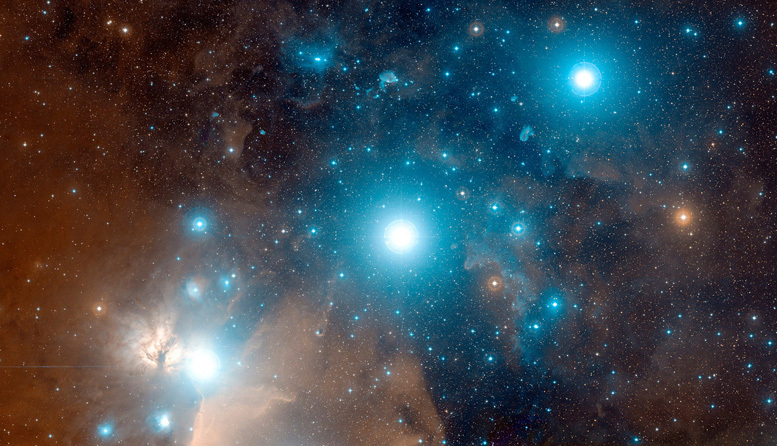 The mission of this prophecy was a planetary mission, and it would require that we would have to go everywhere around the planet to communicate this prophecy. So there were moments when we found ourselves in places like Buenos Aires, in places there like the Teatro Cervantes, and Bolon Ik was burning the Gregorian calendar to a full house. In other times we were in places like Zemlak Island, in the middle of the Nile River, in the middle of the city Cairo, going to different embassies like the Saudi Arabian and, especially, the Libyan Embassy to deliver the prophecy. So we had to go to many different places, not because we wanted to. It is very, very challenging to go to a city like Cairo, where you know nobody, and the prophecy is saying you have to go to these specific places because every kind of people has to be informed. This is the function of the messenger, a planetary messenger. I often thought, without losing any respect whatsoever for these people, that Buddha and Christ and Muhammad had it easy. Christ, unless you go into the stories of when he was young, gave his teaching in Palestine. Buddha gave his teachings in India, Muhammad gave his teachings in Arabia, basically between the two cities of Mecca and Medina. But we live in a global society and a planetary world so we had to go everywhere. It’s interesting that, as you know, the tomb was opened in 1952 – which of course was 1260 years after its dedication. 40 more years passed before the year of the Time Shift, that was between July 26, 1992 and 1993. That was the 40 years of the opening of the tomb being in the desert. From the time I first had a revelation of my mission (which occurred I suspect sometime very close to July 26, 1953, when I was fourteen-years- old), my 40 years went from 1953 to 1993, and so it was precisely at this moment that I was to begin to decode the meaning of the tomb of Pacal Votan. When I began this meditation with you today I was speaking about the Terma and the Terton and there is a statement of Padmasambhava. He says, “I, guru Padmasambhava made the aspiration. May these teachings meet the fortunate person, whoever that might be in the future. Because of that aspiration the teachings will meet the fortunate person.” These types of teachings are very very precise in their timing, but on the other hand that is not any kind of problem, because if you are like myself , i.e. living by following signs – then you will always be ready at the right moment; but that is very profound behavior. Many times we ignore signs. But we live purely by the signs, and because of this, I have been a very fortunate person to be able to be at the right place at the right time and to have the teachings revealed to me. It is very clear that what we call the Terma of the tomb of Pacal Votan is a very very powerful Earth Terma. It took 40 years for this Terma to be totally ready. It took me 40 years to be completely ready for the Terma. But at the precise moment, the Terma began to reveal itself. I have since understood how I have no real personality. That I actually am living a function of certain emanations of mind that use my happy Monkey body to accomplish what has to be accomplished. The tomb of Pacal Votan, in some ways, is the greatest of all Termas, because it is the Terma to close the cycle. It is the Terma that defines Judgement Day. It is the Terma that defines the time of prophecy. It is the Terma that defines the second creation. It is the Terma that defines the coming of Heaven on Earth. It is a very, very powerful Terma. That is because now we know we are all one world, we are all one Earth and that there has to be a prophecy and a teaching that is for the whole Earth, that unifies all the religions, all the spiritual traditions, all of the visions of all of the martyrs. When I first began to decode the Telektonon I knew that there was a very, very large Telektonon, that the original Telektonon is as vast as the solar system and extends to the Galaxy; and that the Telektonon that I was decoding was just a small part of that Telektonon . This great Telektonon we can describe as the redemptive vision of the stellar order of Kinich Ahau. It is because of Kinich Ahau that the Telektonon is revealed. As we have said, we are part of this star, the star is evolving. Every star ultimately becomes a supernova. How are we going to do that? How will we evolve into that? What does that mean? 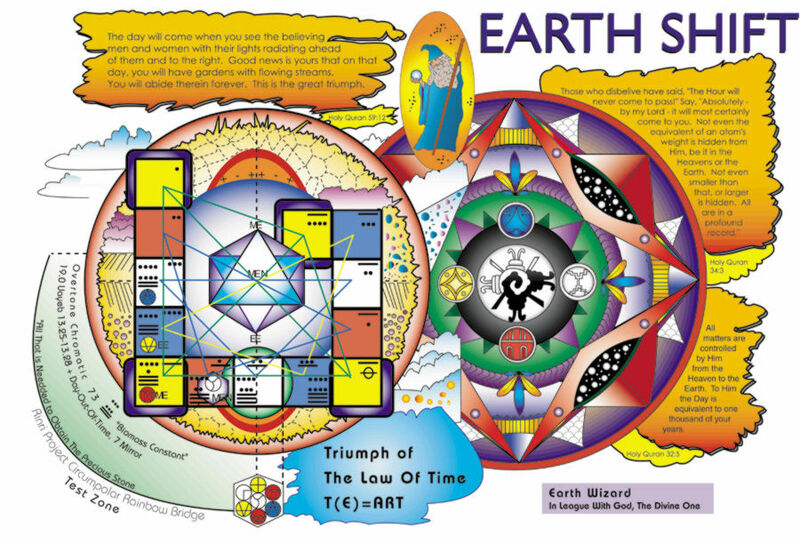 It is a very great significance because of the capture of false time that the planet, when it came to be known to itself as the planet, was unified under a false solar calendar. Because of that we could not rise to the solar consciousness. So that gets back to the point of the Telektonon prophecy as well. Christ had to chase the money lenders out of the temple. This Earth is the temple; who will help me drive out the moneylenders? So this is a little bit of the background of what we call the Telektonon. With this background, tomorrow we can go to our next meditation and see how much we know about this. So, this has been a very emotionally moving moment. I have never before revealed so much of what I call my spiritual autobiography. But I saw that I had no choice. I am commanded by my Lord to reveal everything that has been revealed to me. In this way I am only fulfilling my responsibility. Thank You. Bolon Ik: Tears always come when the truth is revealed. I feel an incredible activation in all of us because we are so fortunate to be here, because this man is living and he is here fully committed to teach us with all of his being and all of his heart. I can tell you his path has not been easy. I can tell you all of the projections that have been placed upon him around the world. Because he doesn’t wear Tibetan robes, people don’t prostrate in front of him or bow in front of him. Because he doesn’t dress like a Mayan shaman, people often talk while he is teaching. So we have a great reminder in this teaching today: that in the face of God we surrender our ego, in order that we can fulfill ourselves in our human destiny. It’s serious that as Earth Wizards we have to return to the world and convert ourselves into the same kind of messengers, because only in this way will we bring peace to this planet. So we have to have tremendous appreciation that everyone of us read the signs to be here, and that it is genuine that Valum Votan loves each and every one of us, and he has nothing but patience. I ask all of us to work very hard to fulfill the prophecy that he has brought through. So I know that in your Earth Families this afternoon it will be a very powerful moment for all of you, because God wants us to survive. We weren’t born into this world in order to do bad things or not be who we are. So every cell is sacred, everyone of you is sacred, and let us remember to be in our humility, remember that we are God’s children. There is another expression that comes from the Arabic world, “Insh’a Allah,” and that means “God Willing.” “Insh’a Allah,” we are going to have a very powerful Earth Wizards Seminary. “Children of the day of truth, children of the dawn, people of the book, all this can you hear in the stones of Palenque where in the tenth Baktun I took pure human form. Of the 27 books of the New Testament, the 27th is Revelations. 27 steps ascend to the Palace of Bolon Ik. This palace, New Jerusalem, is the mystic power of Telektonon, the 28th step, the power of seven sanctified foursquare.